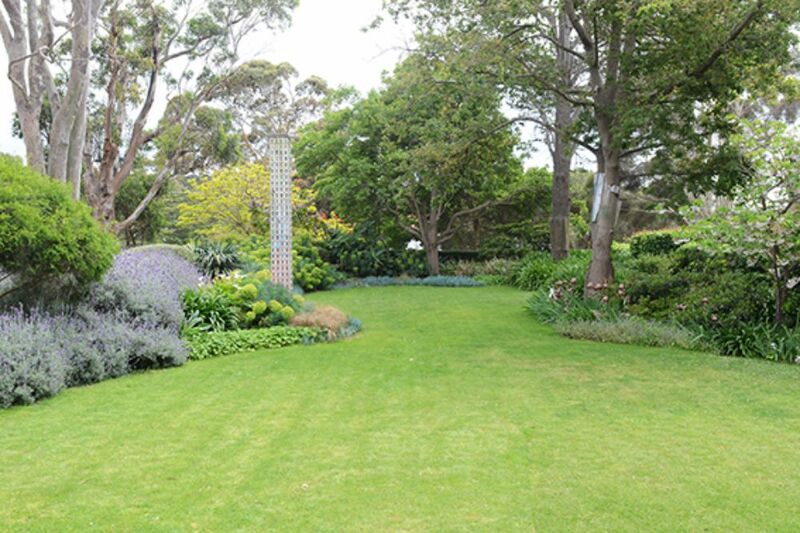 Drik Drik has long been a favourite of local residents, much admired for its interesting and quirky architecture, its garden and general charm. 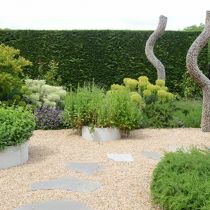 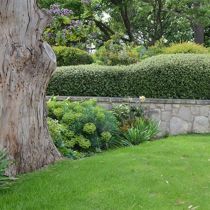 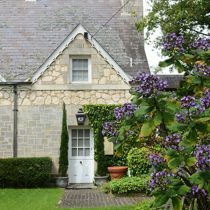 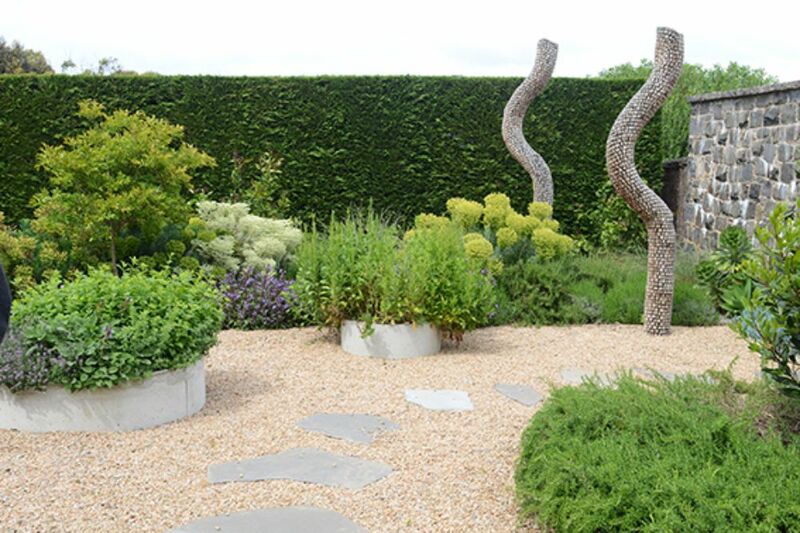 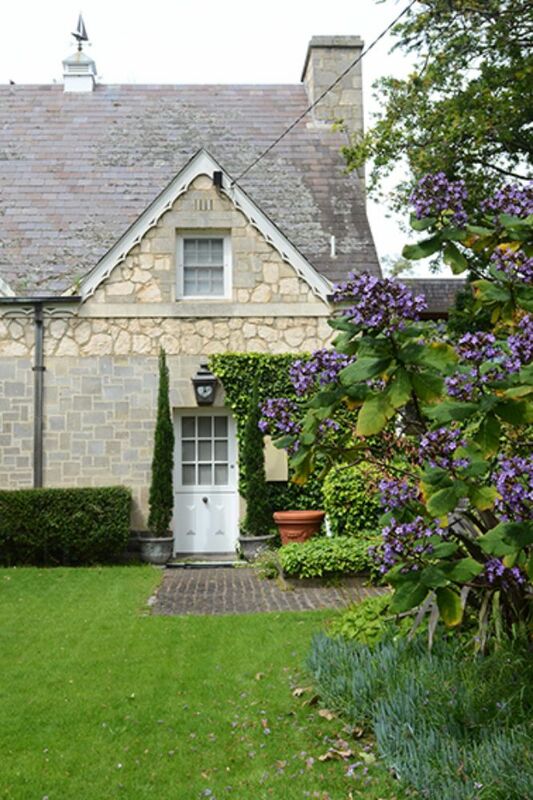 The original front garden has a simple planting scheme of low hedges, Coastal Tea Tree and rosemary, which allow the design of the original stone cottage and the stone front fence to shine. 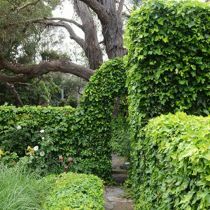 A highlight is a large Manna Gum estimated to be up to 200 years old. 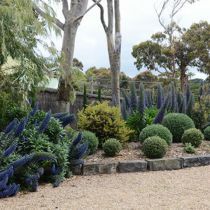 The modern extension is framed by an ornamental pear transplanted from the site of the extension and a Cork Oak, while a new garden bed along the driveway draws from a palette of plants that can cope with harsh coastal conditions. 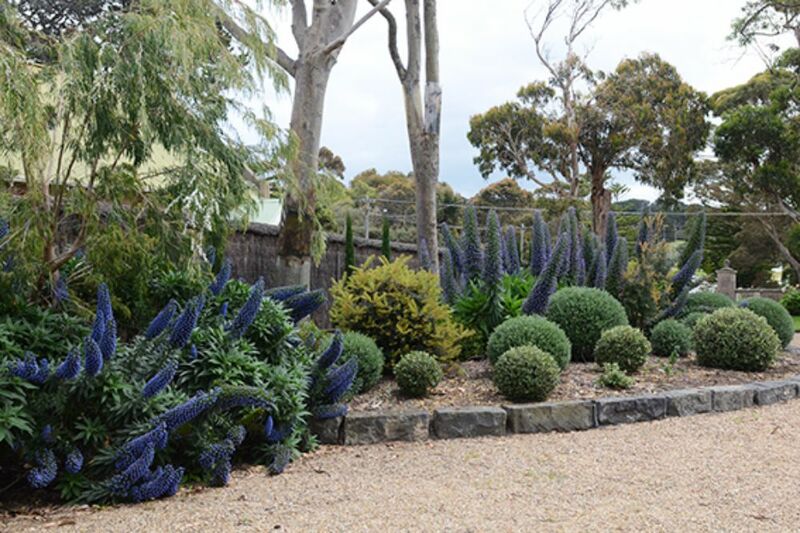 Echiums, clipped westringia balls and groundcovers make for an attractive tapestry of form and texture. 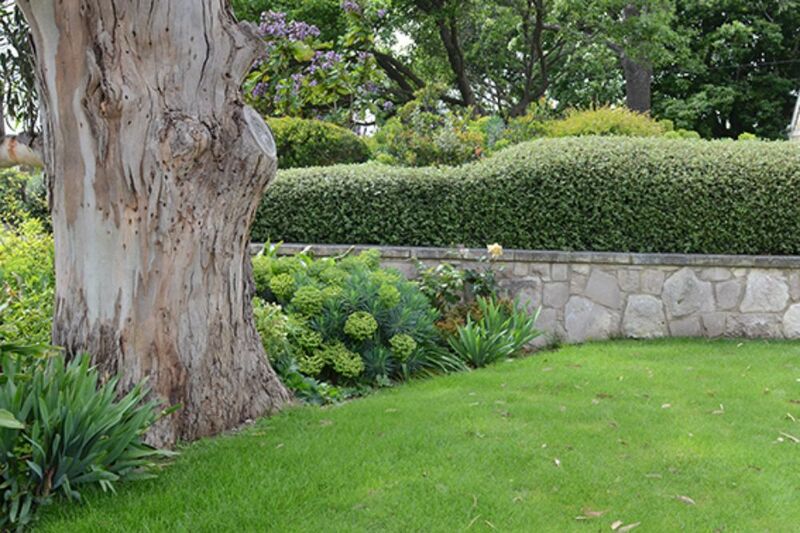 The rear of the property backs onto Flinders golf course and has a different, softer mood. 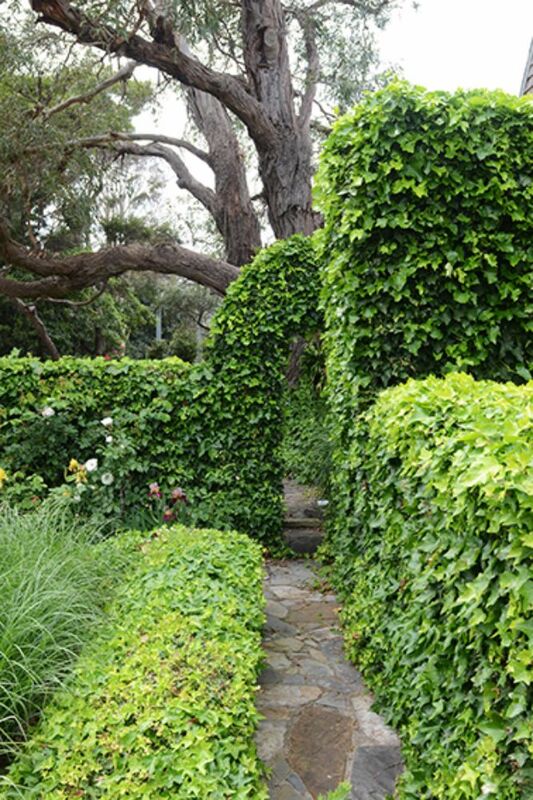 Deep, curvaceous beds of trees and shrubs surround a graceful lawn and an ivy-covered walkway lends mystery. 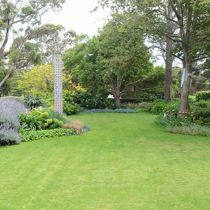 Make sure to explore the walled garden behind the modern extension.